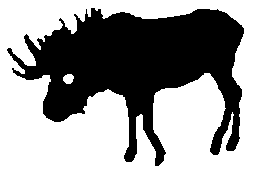 Forum » General Discussion / General » Draw a Moose! Hey, you. Yeah, you. Git in here and start drawing. well what are you standing around for? 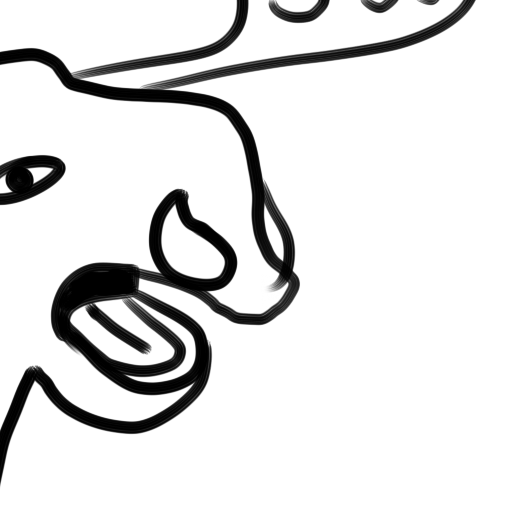 come in and draw a gosh darn moose. 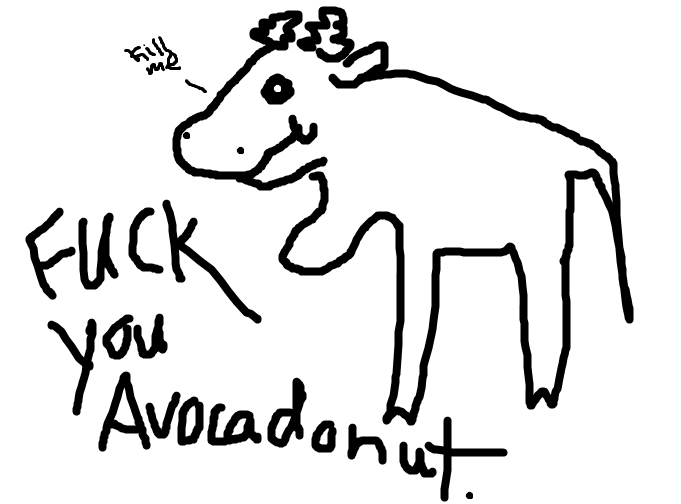 I would draw one, but I am afraid I wouldn't be able to properly capture the majesty of thedeadlymoose. I am also not just saying this because I am merely a lowly chat operator. Definitely not. 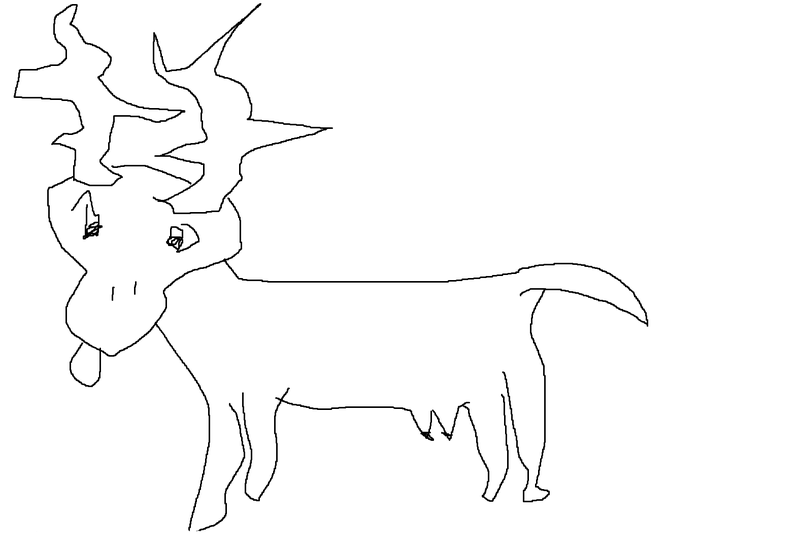 Alright, I drew a moose. 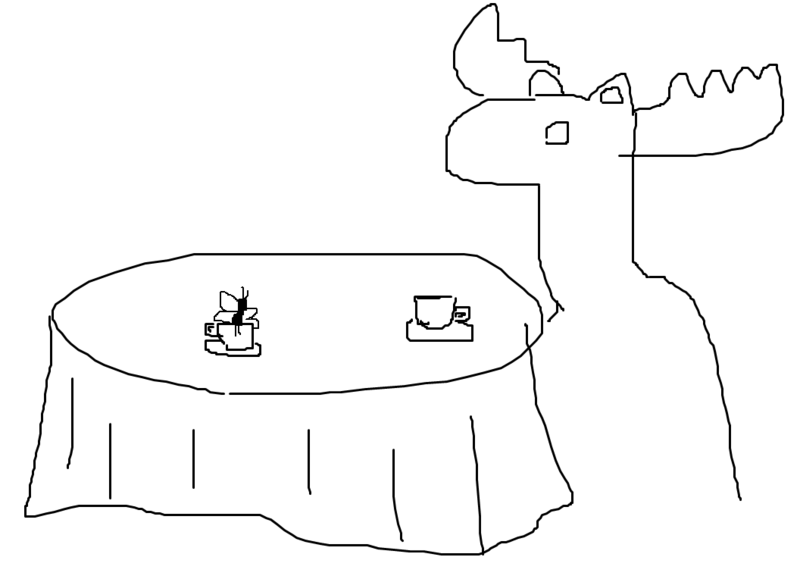 Well, I broke the main rule of "Draw a moose", So I got nothing to lose. Thanks! Tbqh I use the "Not amused" expression in like 40% of my drawings. Such a majestic expression matches such a majestic creature. "I'll just start drawing and be done when either I have to hit "undo" in Paint five times or two minutes pass"
For a second I was thinking the butterfly was drowning in the other glass. Alright, I drew one, but how do I attach it? 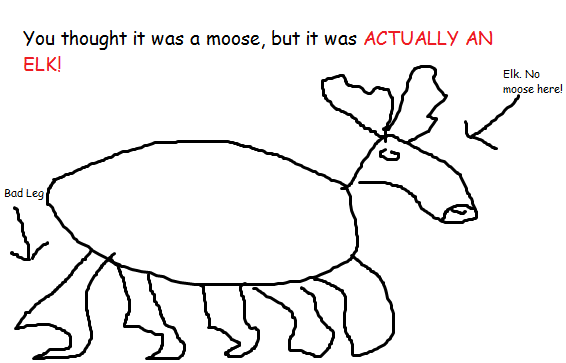 Is this moose? Is this good? 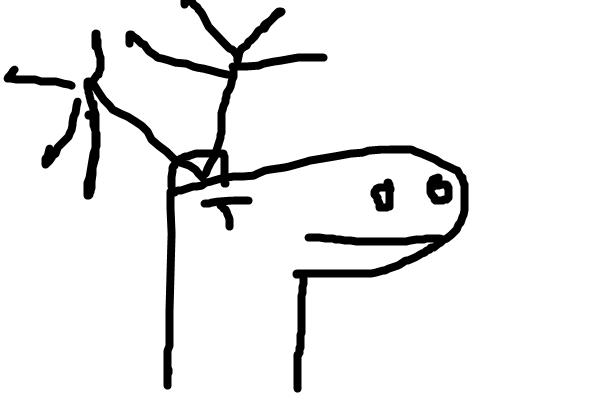 Best moose drawing in the thread.